I don’t know how I missed it, but yesterday was Winnie the Pooh Day! 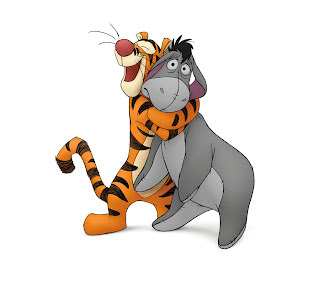 We are big Pooh fans here, including all his friends in the Hundred Acre Wood. Baby C. adores him, too; she has a stuffed Pooh that she likes to snuggle. To celebrate his big day, here are a few of my favorite fun Pooh party ideas, foods, and printables. 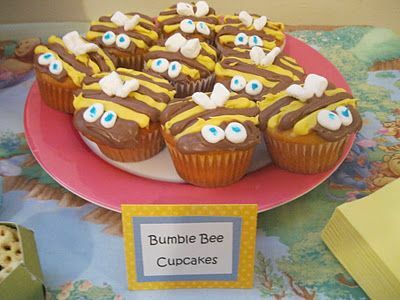 These Bumble Bee Cupcakes are the perfect honey pot compliment. I apologize for being mostly MIA for the past few days, other than getting a few of the deals posted for you. It’s been extra hectic at work (I work full-time; not sure if I’ve ever thought to share that, or not), plus all the regular household stuff we all have going on. I’ll be more on my game now as things have temporarily quieted. I did want to share the reminder that the Winnie the Pooh movie comes out tomorrow! You definitely want to take the kiddos to see it – or even go and see it by yourself. Over the weekend we had the pleasure of attending a special screening of it and – oh my. So sweet! I love that they stayed true to the “old” feeling of Pooh by using the hand-drawn art style. Narrated by John Cleese (love him! ), the story has the gang on a quest to save Christopher Robin from an imaginary culprit. Plus trying to find a new tail for Eeyore (who has always been one of my favorite Disney characters)! The kiddos gave it a 4 out of 5, and I’d give it a 5, myself. 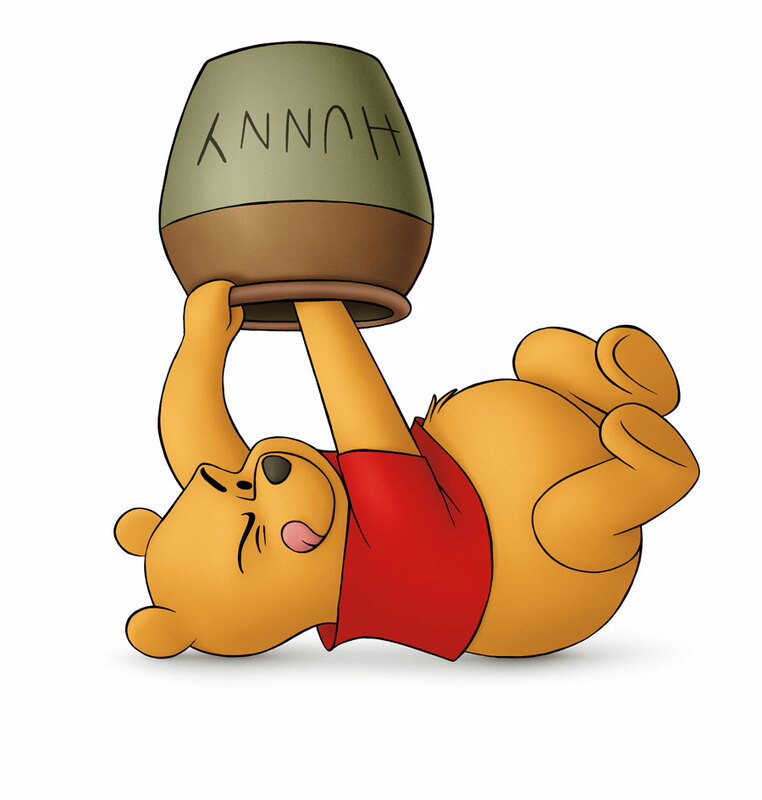 There’s one part where Pooh uses his belly as a drum that was particularly appreciated by the folks in the theater. Pooh is one of Baby C’s favorite characters, too, right now – her eyes light up when she sees him and she loves on her stuffed Pooh Bear and Eeyore when she naps in her swing or in her car seat while we’re driving. So when this comes out on DVD, it’s going to be a must-buy, for sure. I honestly think that you and your family will love this film, too. The great folks at Disney and Walt Disney Motion Picture Studios have also released some awesome activities and recipes. There are a couple of cake pop recipes from Bakerella herself (love her stuff), plus additional sweet treats and crafts. You can find the entire collection here. For more info on the film, characters and more, checkout the Pooh Facebook page, the Disney Animation Twitter page, and the Pooh section of the Disney website. Winnie the Pooh is rated G and is in theaters everywhere tomorrow. Let me leave you with some of Pooh’s Philosophy on life. If you see the film, please leave a comment and share your thoughts and your favorite part! The PR company provided my family and I with passes to the screening. No additional compensation was received and all opinions are, as always, 100% my and my family’s.